Associate Professor Kevin Netto is the co-discipline lead for Exercise, Sport and Rehabilitation Science at the School of Physiotherapy and Exercise Science. His doctoral training is in biomechanics but he is also qualified as a mechanical engineer and a sports scientist. Kevin's work is focused on optimising human performance. He is interested in the biomechanical effect stressors such as heat, cold, shock, load, vibration or movement restriction have on the musculoskeletal system. He has works with a diverse populations such as triathletes, Australian footballers, rugby players, swimmers, runners, council workers, sales and manufacturing staff as well as military and emergency services personnel. His work has been support by government and industry funding. 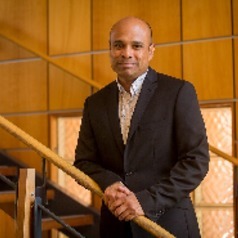 Associate Professor Netto frequently advises local council, sporting clubs and organisations, industry, media and government departments about the musculoskeletal demand of work and sport to better facilitate a reduction in injury and an increase in productivity.